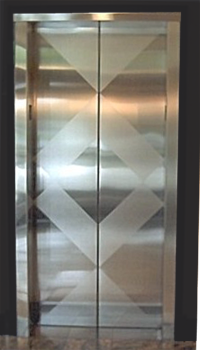 Metal Maintenance is certainly one of those speciallized building services that Class “A” building owners need to purchase. But how does one choose the best company to do the work? What are the attributes of that company that distinguishes it from the rest? We at ADDCO METAL believe that we have the three qualities that should be considered when making that choice. Experience- We boast the most experienced workforce in the Southeast. Our metal foreman all have at least 15 years of metal refinishing behind them, and none of our current apprentices have less than two years experience. 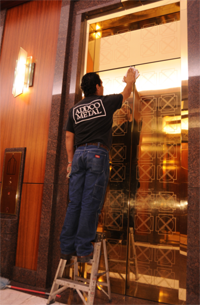 Quality Performance- providing maintenance services is much more than cleaning and lacquering metal on a periodic basis. It involves providing schedules that outline the work to be performed, scheduling work in a manner that does not disturb tenants or lead to late night phone calls, thoroughly cleaning the work area after refinishing, and following up with quality control inspections. Competitive Pricing- We at ADDCO METAL know that the services we provide our customers are competitive with any of our industry rivals. That is the quality performance AADCO METAL provides to maintenance customers at over 100 current accounts. One request for proposal will show you.